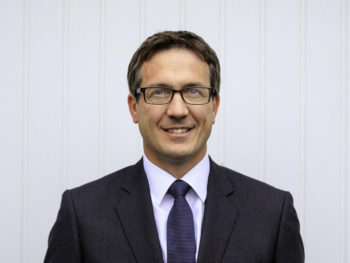 Ashley Andrew has been appointed as Hyundai’s new managing director to oversee the brand’s UK business. The appointment follows Tony Whitehorn’s stepping down from his role as president & CEO in December last year. Ashley, who joined Hyundai UK a year ago as sales director, steps into the new role effective immediately. Ashley boasts more than 20 years of automotive and sales experience, having worked at senior levels for brands including Fiat Chrysler Automobiles, Volkswagen Group, BMW Group, and Ford. His ambition is to deliver sustainable growth for the UK business, helped by new products yet to come. Ashley Andrew, managing director, Hyundai Motor UK said: “There is no doubt that we are facing challenging times that have, and will continue to impact on our industry, however Hyundai is well positioned to continue to outperform the market. Moving forward, my role is to ensure that we continue to focus on delivering the right products and services to our customers whilst also delivering a robust and profitable business plan. Ashley’s appointment comes as Hyundai looks to further solidify its position in Europe with the development of a regional headquarters. The new European business unit will extend its previous responsibility across every aspect of the business, ranging from product planning, marketing, sales, and manufacturing. It will operate with greater integration to actively respond to rapidly evolving market trends and customers’ needs.